HomeStyle is a monthly magazine about home décor and lifestyle; each issue includes hundreds of ideas to transform your home. 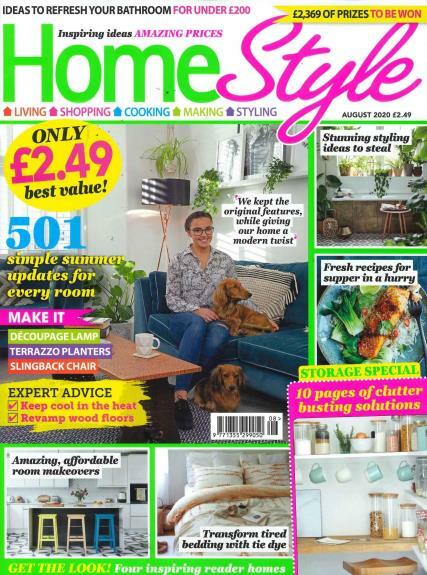 Buy a single copy or subscription to HomeStyle magazine. HomeStyle is the all-in-one bible for home lovers on a budget; it contains everything you look for in a home’s magazine. Each issue is packed with the most incredible hard-to-find bargains and the best high street buys, before-and-after room makeovers, decorating secrets, quick and easy fix projects and so much more!